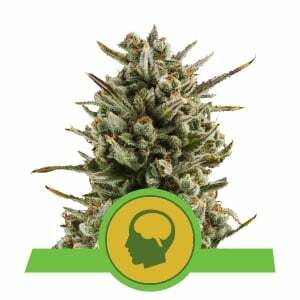 Royal Cookies is a cannabis strain well suited to both indoor and outdoor cultivation. However, for her to really thrive outdoors, she needs to be grown in a warm climate. 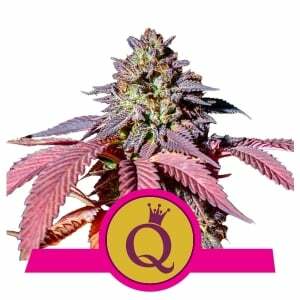 Thanks to her indica dominant genetics, Royal Cookies grows with a short stature, reaching heights between 80-110cm indoors. 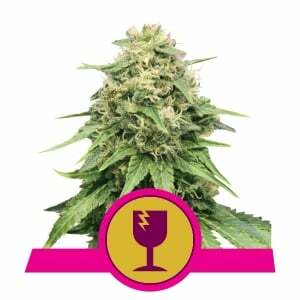 However, this doesn’t impede her yielding potential, which sits at a generous 450-525g/m² after 8-9 weeks of flowering. 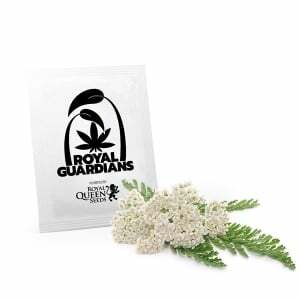 Outdoors, Royal Cookies will climb to higher heights, growing between 140-180cm tall. She is usually ready for harvest around the middle of October, yielding up to 450-500g per plant. 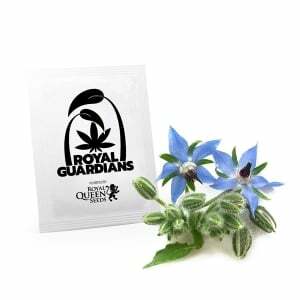 The aroma and taste Royal Cookies produces stays true to the Cookies name, blending sweet and earthy tones into a pungent and tantalising flavour. The delights of Royal Cookies go well beyond her flavour, though. 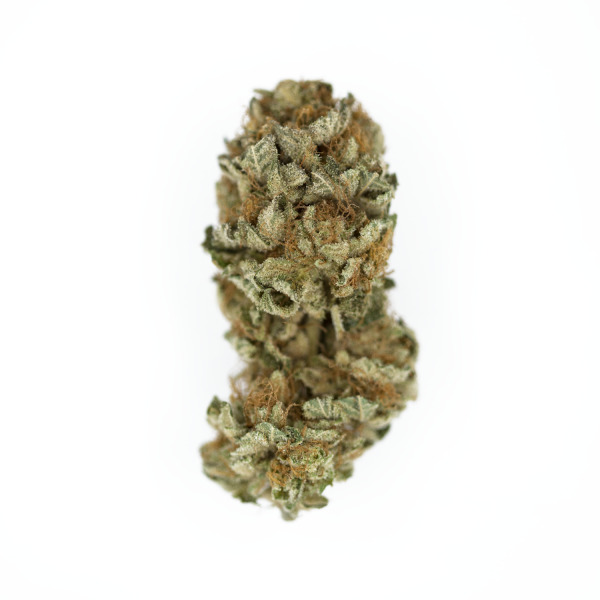 She induces a potent high that both uplifts the mind into euphoria and gently lowers the body into deep relaxation. 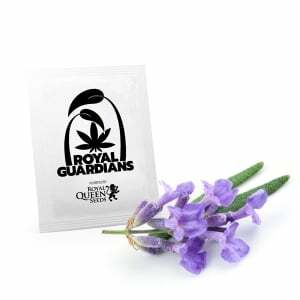 Her potency is such that novice smokers may want to approach with caution, as her 23% THC content can quickly and easily overwhelm the unprepared. Comment : Diese Sorte ist etwas besonderes! 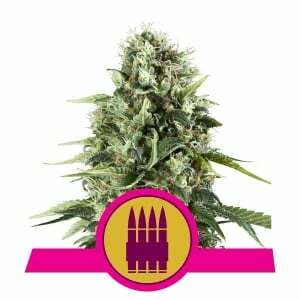 Die Buds sind super fest und sind einfach zu ernten. Der Geruch der Royal Cookies ist atemberaubend! Comment : This is a must buy and i cant recommend this strain enough just buy it and give it a try. Great genetics two weeks old and in veg. Comment : Royal cookies gegroeid naast een aantal ‘echte’ cookies, en geen verschil kunnen bemerken! Sterker nog, de royal cookies kwam als smaakvolste uit de bus! Comment : Variété à la hauteur de sa description! Rien a dire odeur goût de ouf et bon rendement, attention à la floraison où elle pousse comme une sativa donc palissage recommandé! La défonce est très puissante proche des Kush !!! Comment : Plante très robuste. Les feuilles sont très grandes et bien vertes. Magnifiques cristaux blancs pleins de trichomes. Aucun problème, cela pousse très facilement. Elle stone bien et elle est bonne. Comment : last summe it hit the scale at 1135g. from may till late october. tastes amazing and hits like a mule. How much does the Royal Cookies stretch when it starts flowering ? Thx. 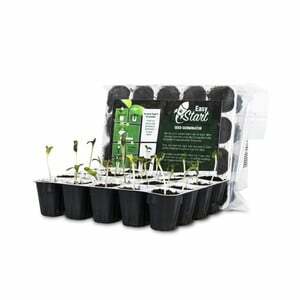 They could stretch a bit more once they go into flowering, but never more than 15-20 cm.